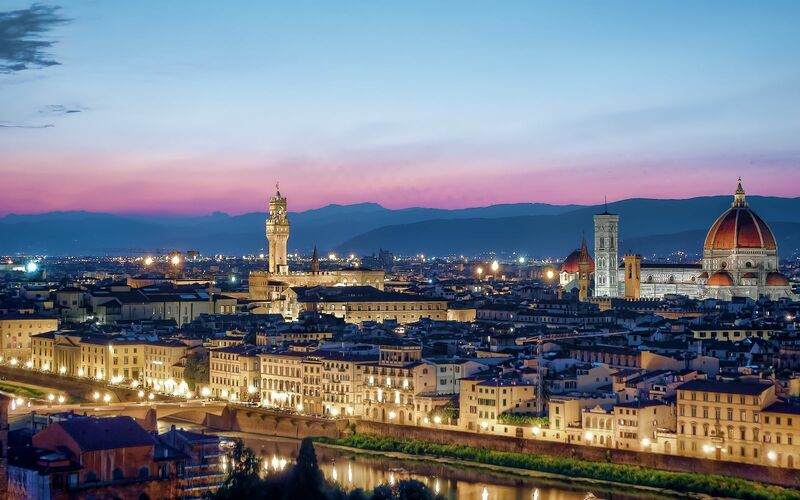 Romantic, enchanting and utterly irresistible, Florence (Firenze) is a place to feast on world-class art and gourmet Tuscan cuisine. 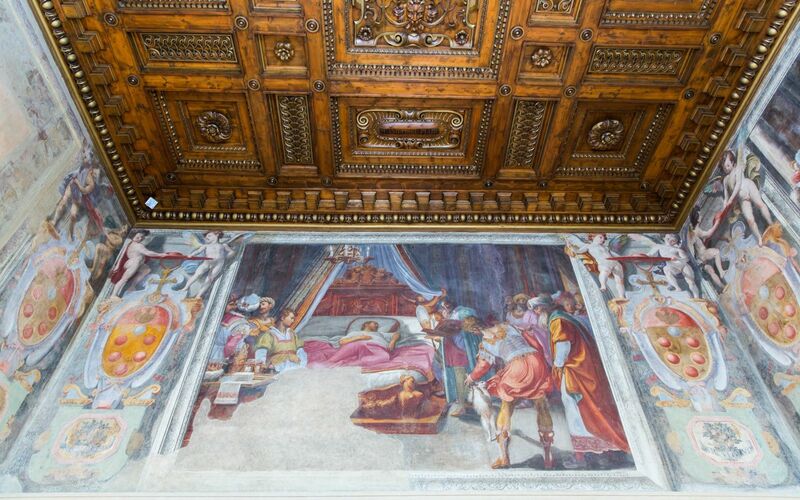 Medieval candle-lit chapels, fresco-decorated churches and world-class museums brimming with paintings and sculptures by Botticcelli and Michelangelo surround the streets. 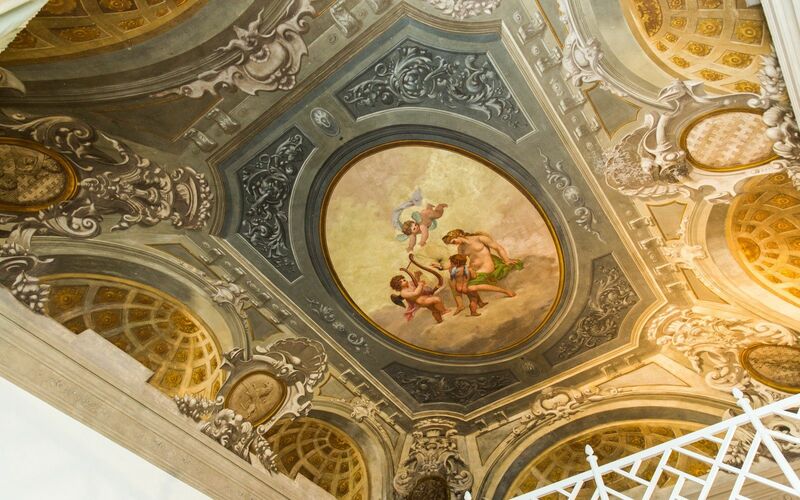 Along with its rich history, Italy’s fashion industry was born and bred here. 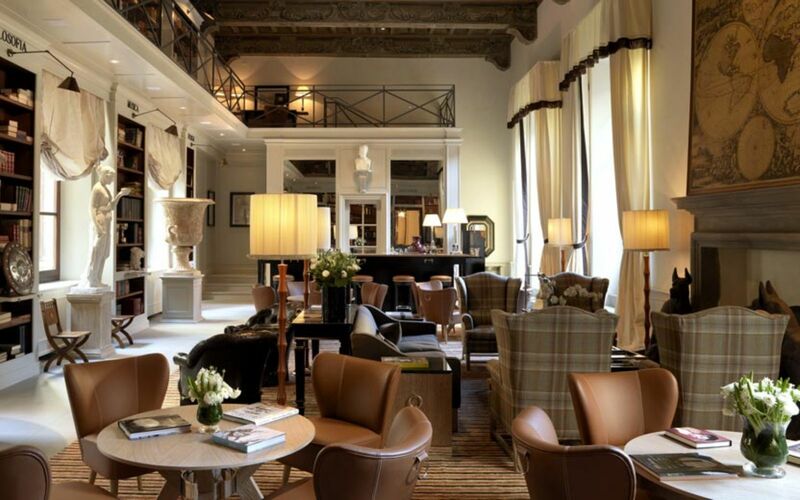 Designers such as Guccio Gucci and Salvatore Ferragamo opened haute-couture boutiques back in the early 1920s and shopping in the Tuscan capital has been stylish ever since. 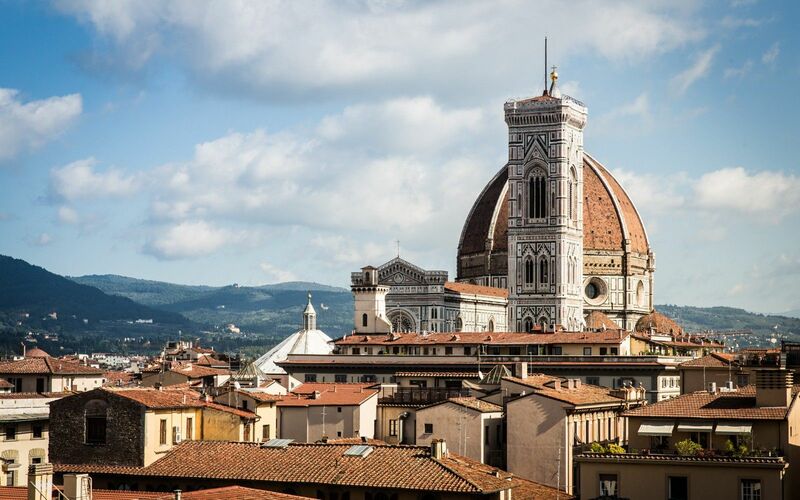 Surrounded by wine-rich hills, Florence is a gourmet paradise where eating and drinking exceedingly well is mandatory. 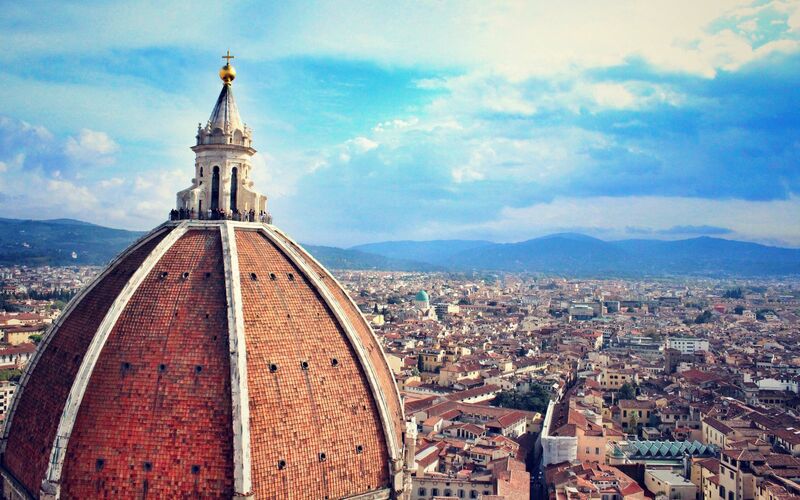 Surprisingly small as it is, Florence looms large on the world’s must-see list. Rich in culture and history and anchored by family, faith and food, the lifestyle is enviably sweet. 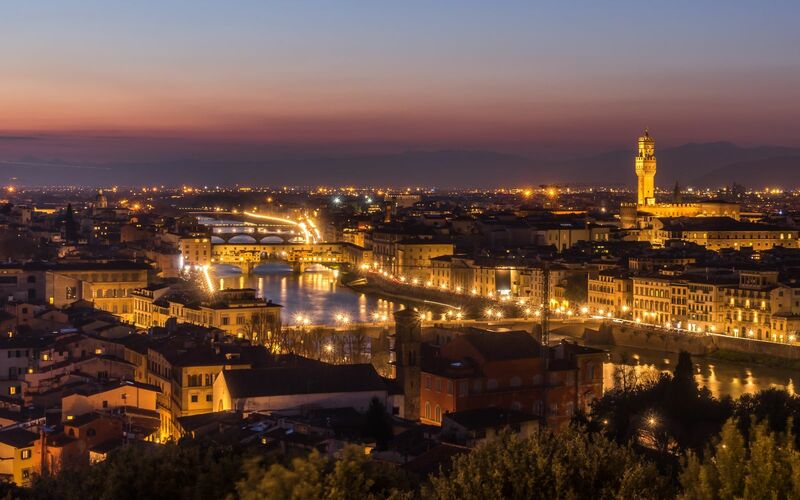 Florence offers so many unique experiences from art exhibitions to musical presentations, with events and festivals celebrating good food, exceptional wine and friendly people. Simply strolling down the cobblestone streets, you can revel in the awe-inspiring historic culture of this one of a kind city. 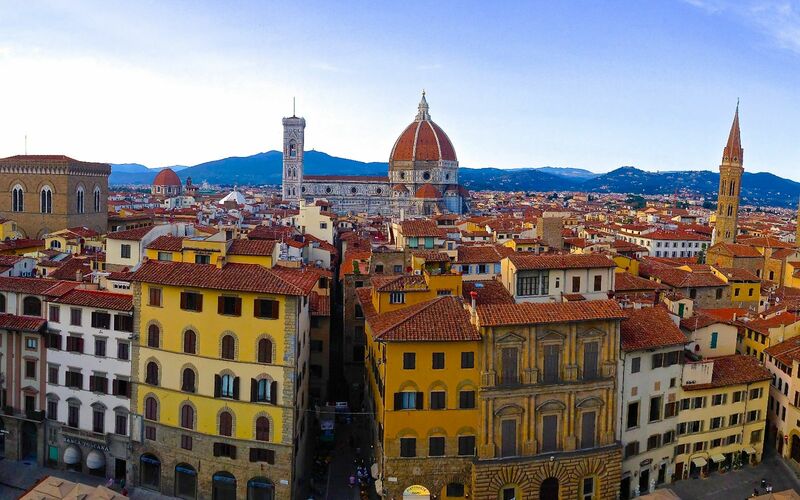 Strolling cobblestone streets, window shopping or dining in historic Florentine restaurants, there is true little seasonlaity to Florence. 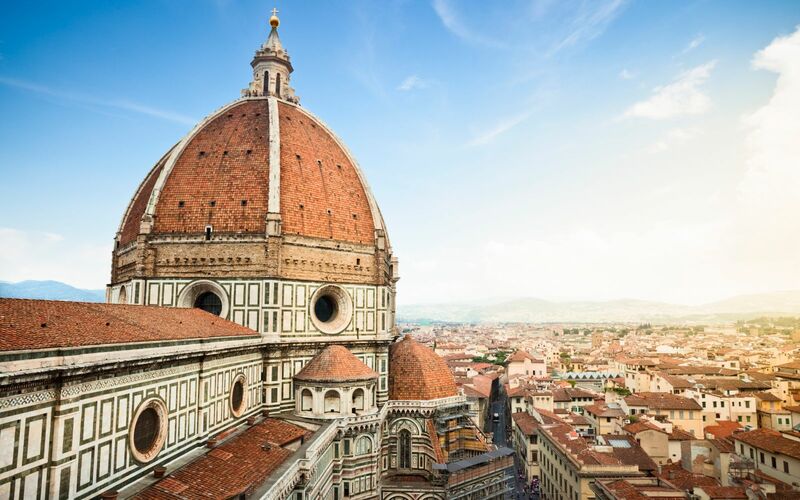 Typical mediterranean climate with high temperatures and sunny days in the summer and colder, damper weather in the winter, Florence is a year-round destination for the seasoned traveler. Rainfall 2.9 in. 2.7 in. 3.1 in. 3.0 in. 2.9 in. 2.1 in. Rainfall 1.6 in. 3.0 in. 3.0 in. 3.5 in. 4.4 in. 3.6 in.